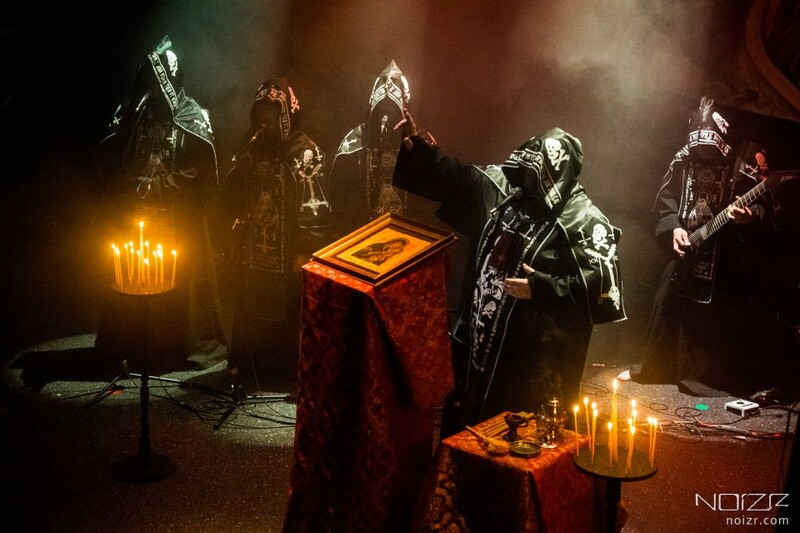 C&S Music have announced two events for this fall — a concert-return of the Polish black metal act Batushka, which show will take place on October 6, and the debut Ukrainian gig of the Greek-Swedish melodic death metal band Nightrage, scheduled for November 2. The first performance of Batushka in Ukraine took place in 2016. A detailed report with photos from this event is available here. "The absolute sensation of the last three years on the Polish extreme scene is the orthodox and mysterious black/doom metal band BATUSHKA. 2018 will mark the end of the era of the scandalous and sensational album "Litourgiya" and therefore, within the world tour "End of Litourgiya European Pilgrimage", the musicians will perform it in its entirety for the last time for all Ukrainian fans. Do not miss the mesmerizing show with a live choir and a unique atmosphere — a show that will never happen again." "NIGHTRAGE was founded by Marios Iliopoulos, the guitarist of the Greek formation EXHUMATION after its breakup in 2000. NIGHTRAGE's debut album "Sweet Vengeance" became a real discovery of the melodic death metal genre on the European stage in 2003. During NIGHTRAGE's existence, its members were such musicians as Tomas Lindberg (AT THE GATES), Gus G. (FIREWIND), Fotis Benardo (SEPTICFLESH), Olof Morck (AMARANTHE), Antony Hamalainen (ARMAGEDDON), Jimmie Strimell (DEAD BY APRIL), Jesper Stromblad (IN FLAMES), Mikael Stanne (DARK TRANQUILITY), Nicholas Barker (CRADLE OF FILTH), Snowy Shaw (THERION), Per M. Jensen (THE HAUNTED), Apollo Papathanasio (GARDENIAN) Lawrence Mackrory (DARKANE) and many others. On the occasion of his first visit to Kyiv, specially for all Ukrainian fans, the musicians will perform all their classical hits from all albums. Make no mistake, life is hard, but NIGHTRAGE is harder!" Both concerts will take place at the MonteRay Live Stage club (Proreznaya street, 8, Kyiv, Ukraine). Shows will start at 20:00 (Batushka) and 19:00 (Nightrage).